Description: Is a water based texture paint, Contains selected marble grains to give mind-boggling decorative effects. Available in white color and can be tinted. Can be applied on: masonry, concrete surface. Exceptional resistance to extreme weather condition and strong abrasion. Disguises surface irregularity defects, masks hairline cracks and surface voids and resistant to peeling. Surface must be clean, free from oil, grease, dirt,………,etc. Use sealer & primer alwaha for priming purposes. 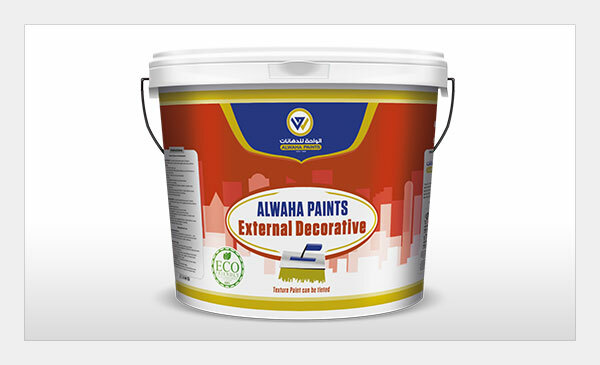 Apply Alwaha prolatex or Alwaha graphics thinned with water 25-35% as an undercoat. After 4-6 hours apply a finish coat of Alwaha graphics. Wait 4-6 hours between each coat for complete drying. Spreading Rate: 0.75 m2/Kg according to surface nature, applied layer thickness.